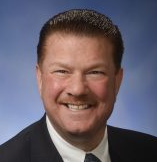 Current senator: The current senator for the 8th District is Sen. Peter Lucido (R-Shelby Township). The district includes Chesterfield Twp., Harrison Twp., Mt. Clemens, St Clair Shores, Shelby Twp. and Utica. Lucido was the founder, president and managing partner of one of Macomb County’s largest law firms, according to his official website. He served in the Michigan House before being elected to the Michigan Senate in 2018. Sen. Lucido is chairman of the Senate Judiciary and Public Safety Committee and the Senate Advice and Consent Committee. A map of the 8th District is available here. Sen. Lucido raises money through a candidate committee, Peter J. Lucido for State Senate, and a leadership PAC, Lucido For A Brighter Tomorrow. He previously raised money through a House committee, Peter Lucido For State Representative, Rep. Lucido is also connected to an administrative account, Lucido for a Brighter Michigan, which hasn't disclosed its donors.